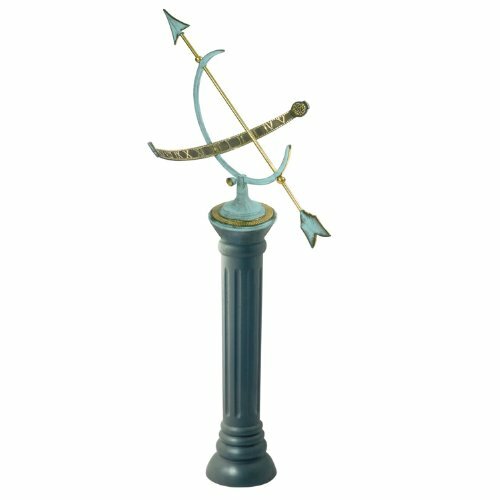 The stately design of this 28" sundial base is the perfect choice for a centerpiece in a courtyard or knot herb garden. 28" height. 9" diameter. Made from cast iron using the ancient practice of sand mold casting. Features a hand painted finish. Designed to attach on all Rome sundials including armillary sundials (not No.1320, No.1322, No.1324).